I feel like i plan to much sometimes, procrastinate other times and just stress about nothing while doing nothing. So here’s a blog post to get the thoughts out of my head and let you know whats coming. I’m going to have a few weeks leave from my office job as of next weekend. I’m so excited! My first time off for myself since my first son was born 4 years ago. It will also be my birthday during that time. I’m holding a birthday skirt market with some awesome business on the facebook page and i plan on sewing, crafting and writing every day i’m on leave. It will be heaven! Hopefully i will have time to do/start some other amazing things like design a pdf pattern to sell… and a photoshoot! Wish me luck to jam all these thing in! 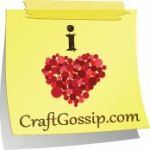 ← Free tools for Blogging that i love!